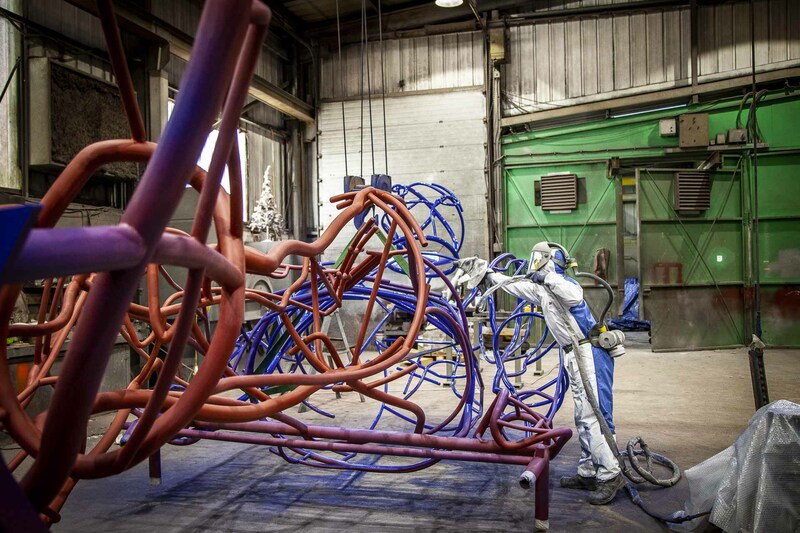 ‘In Anticipation’ was designed by the artist James Burke with his company Acrylicize. 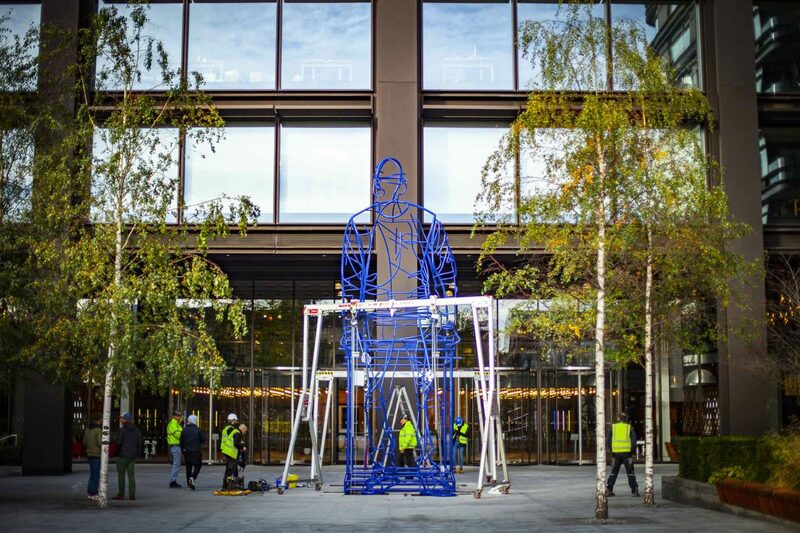 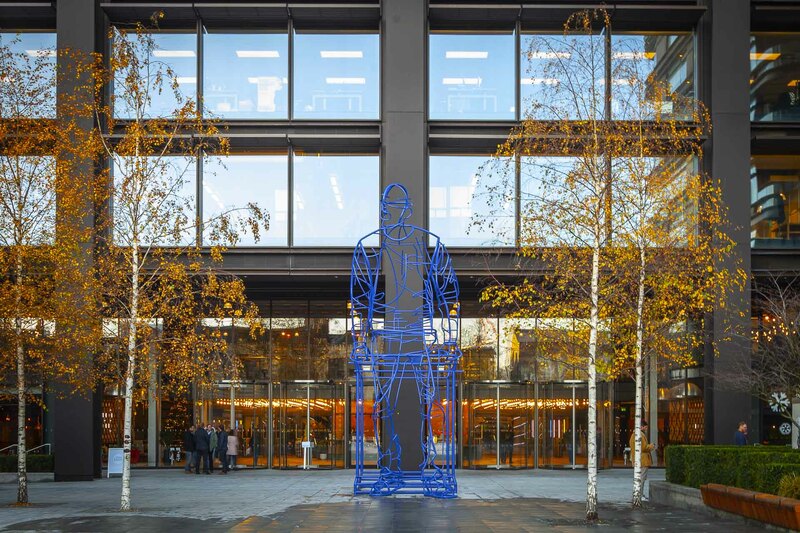 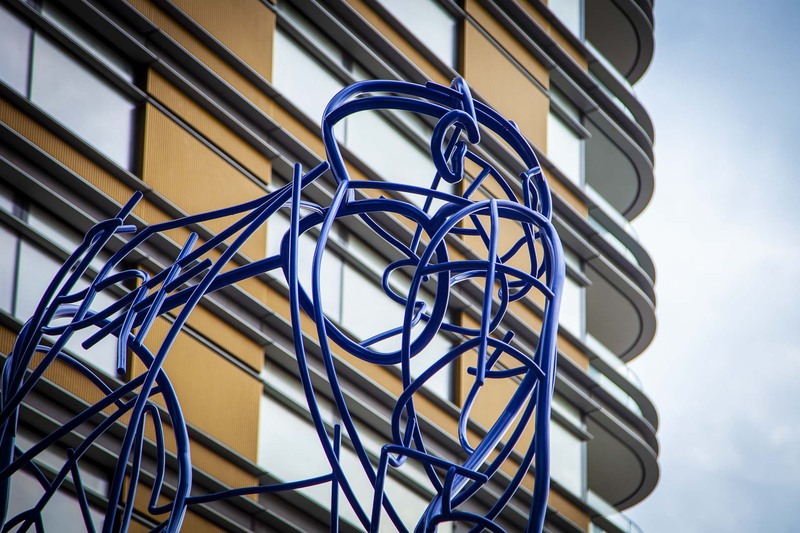 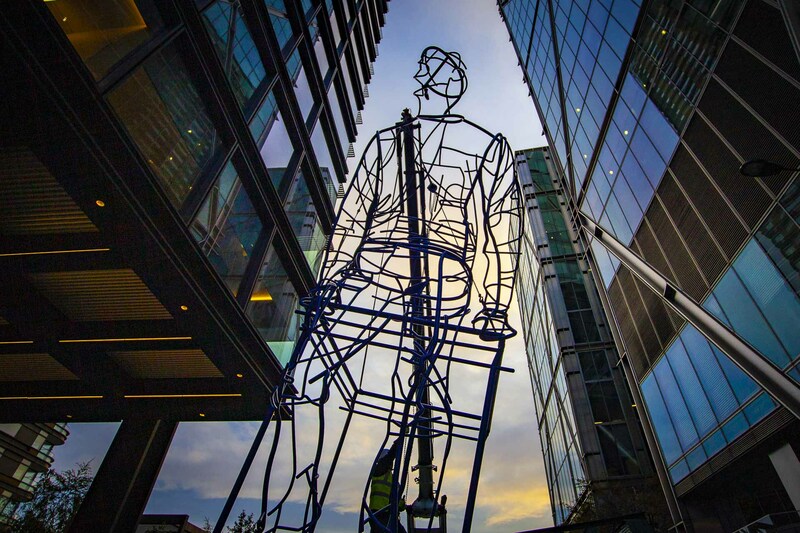 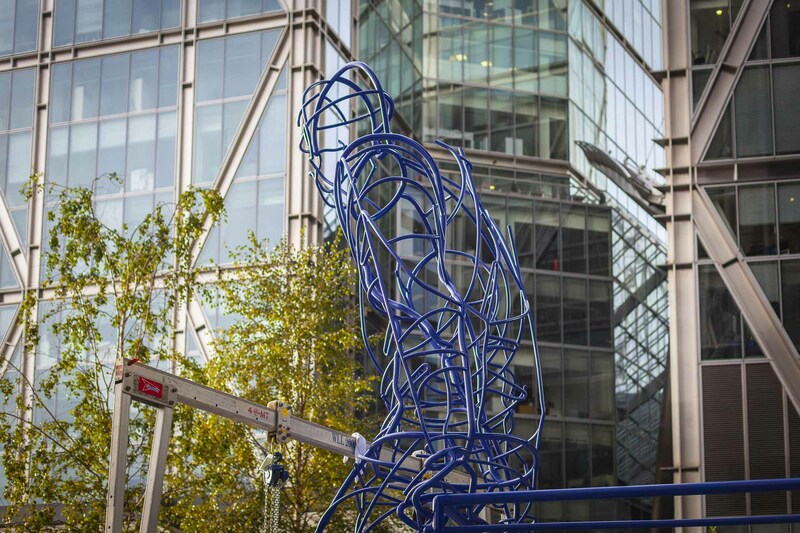 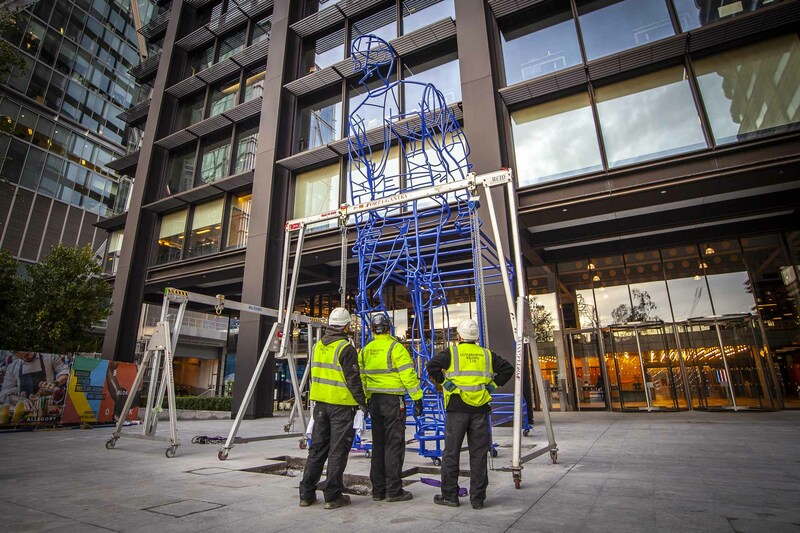 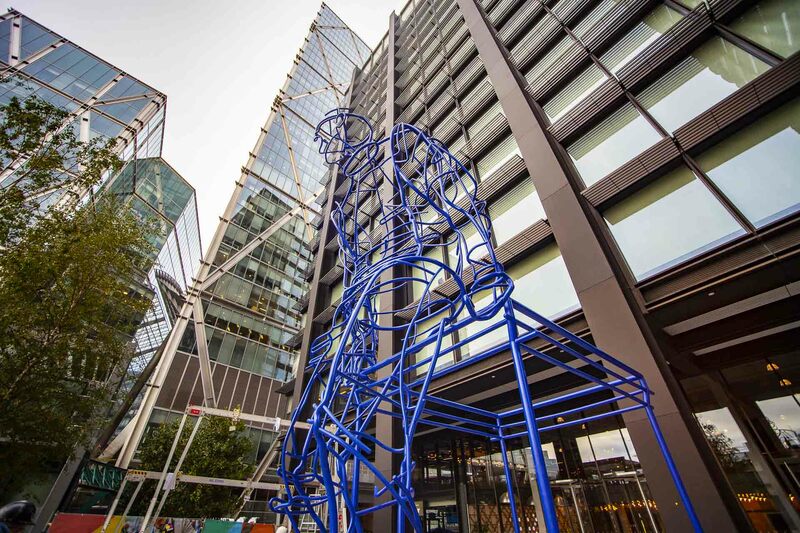 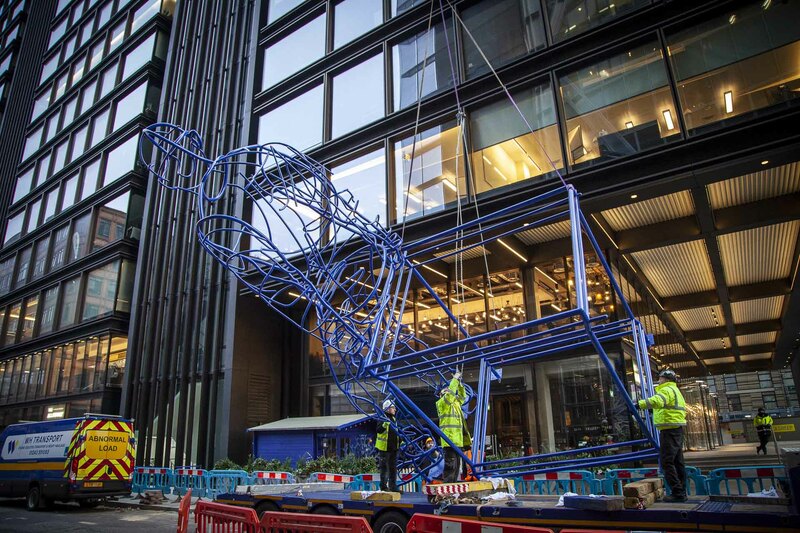 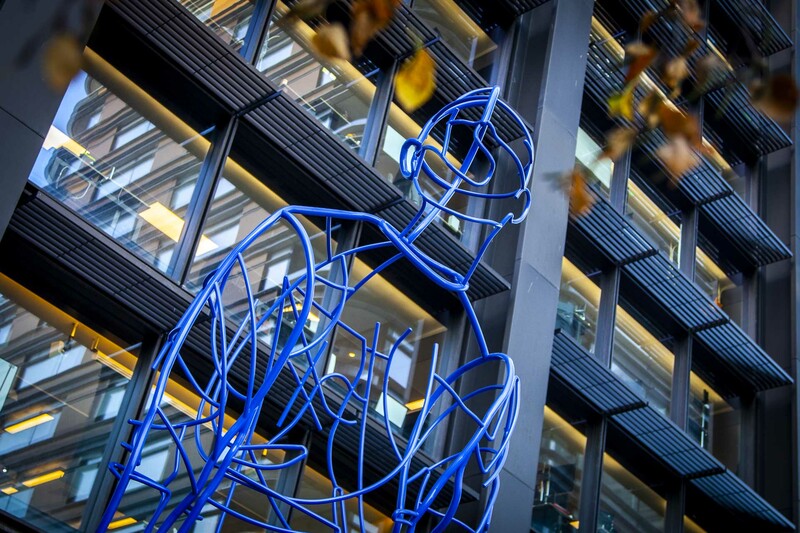 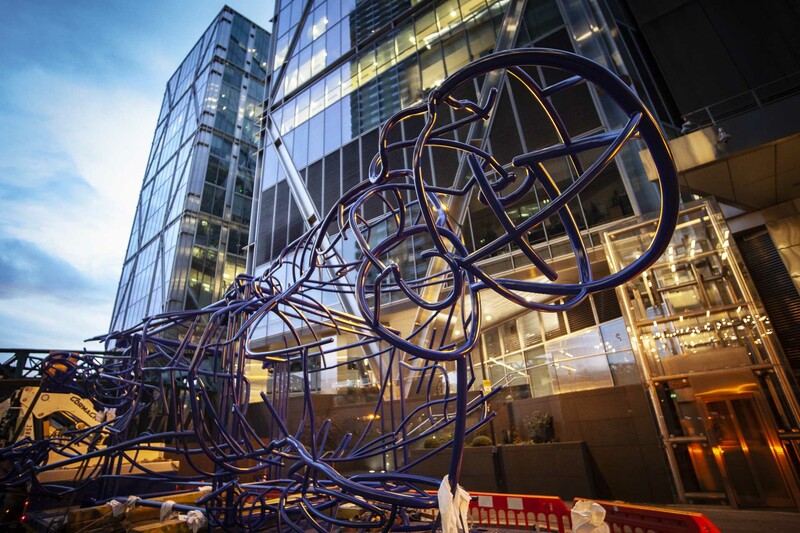 The sculpture was commissioned by Brookfield Properties to stand outside Amazon’s new head office at Principal Place in the centre of London close to Liverpool Street Station. 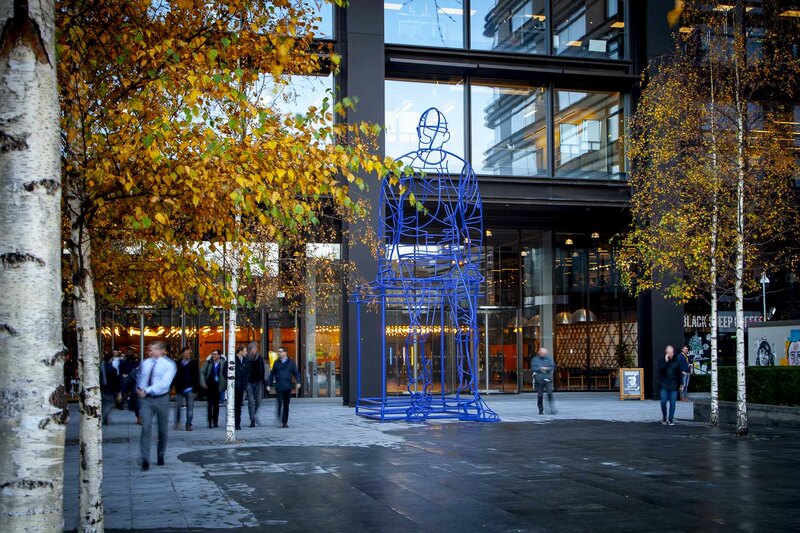 Referencing traditional sculptures that can be seen all around the capital, the piece features a man leaning against a plinth that he has evidently just stepped down from. 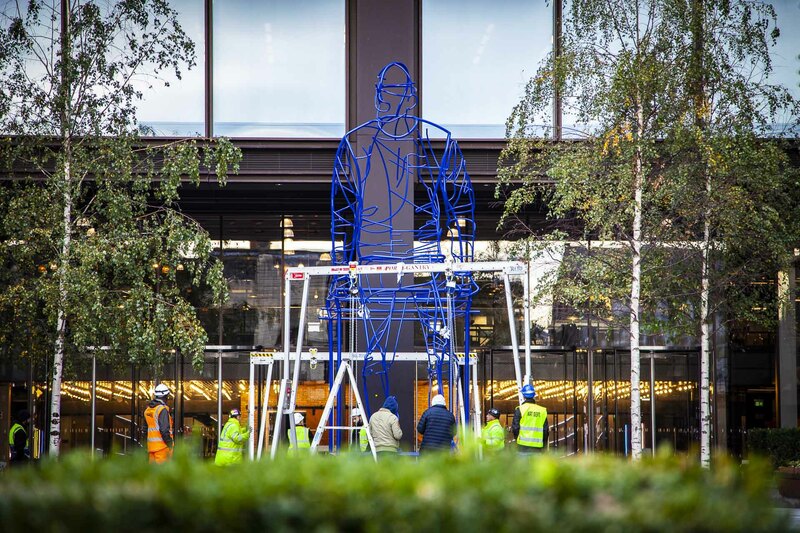 The title leads you to wonder what he might do next as you look up at the thirty foot high giant. 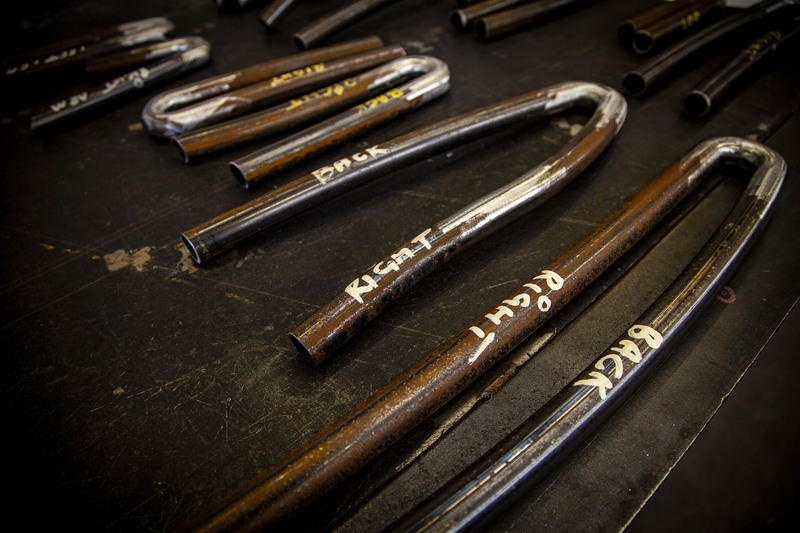 The style resembles a sketch made up of lots of separate lines of varying weight. 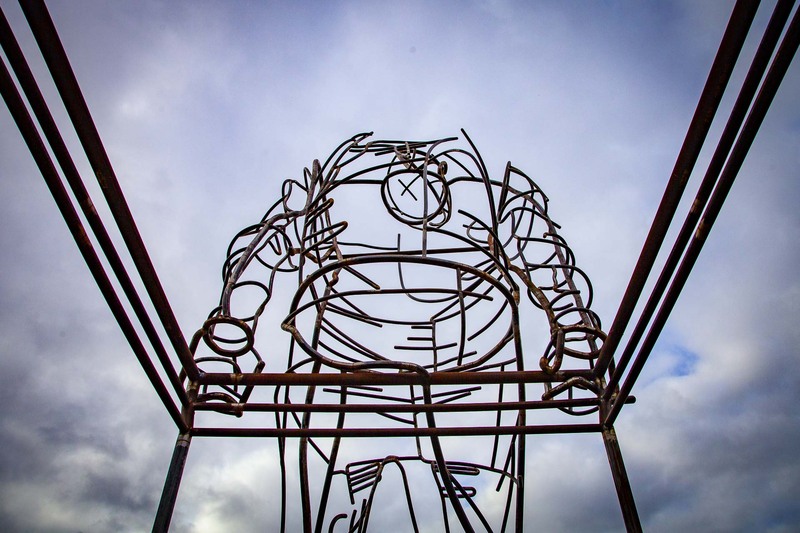 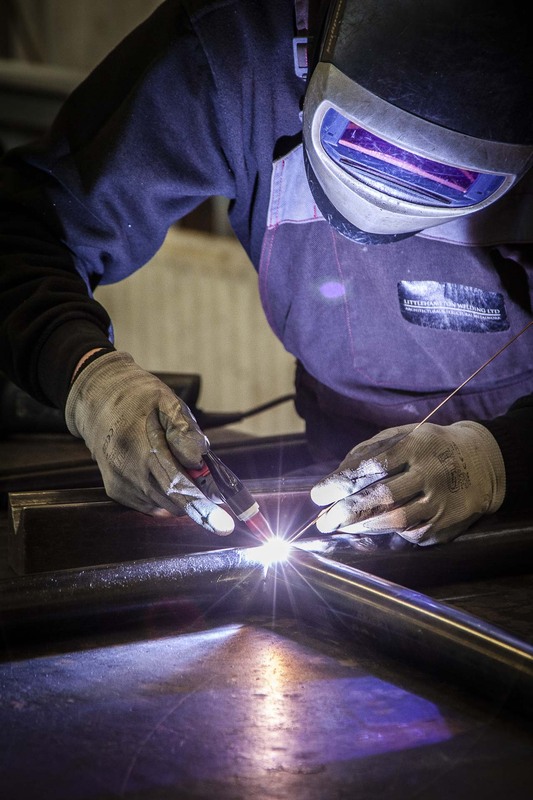 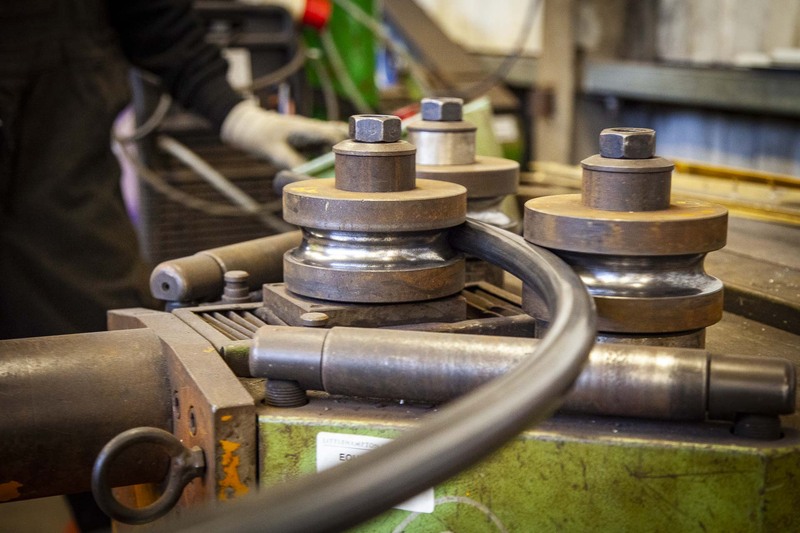 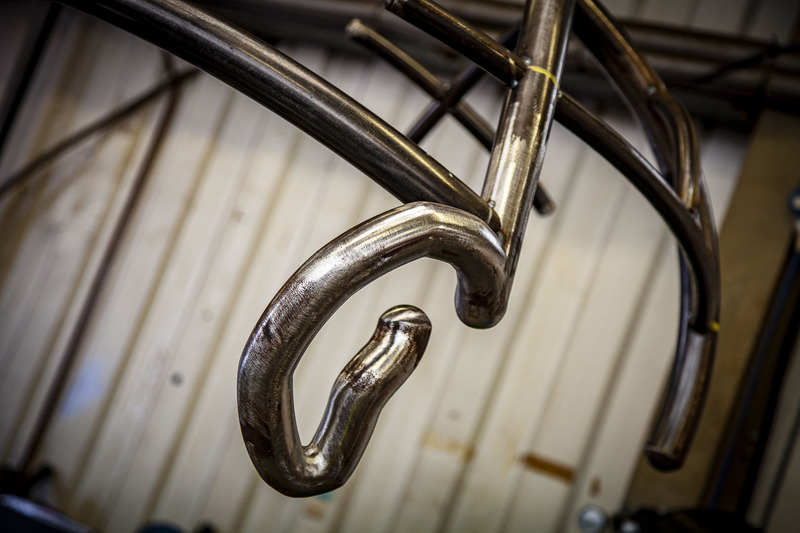 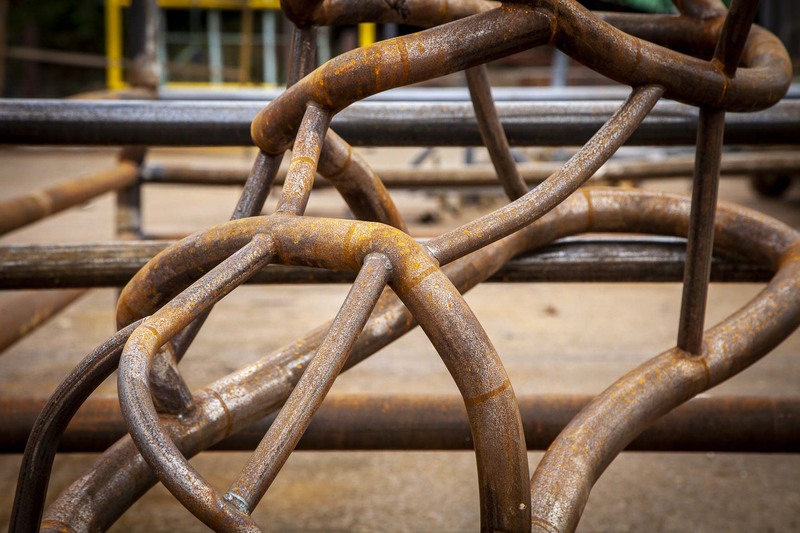 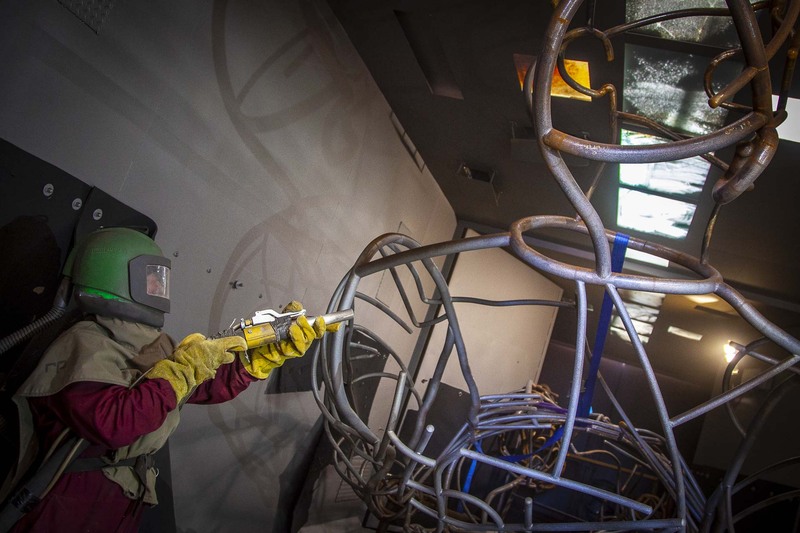 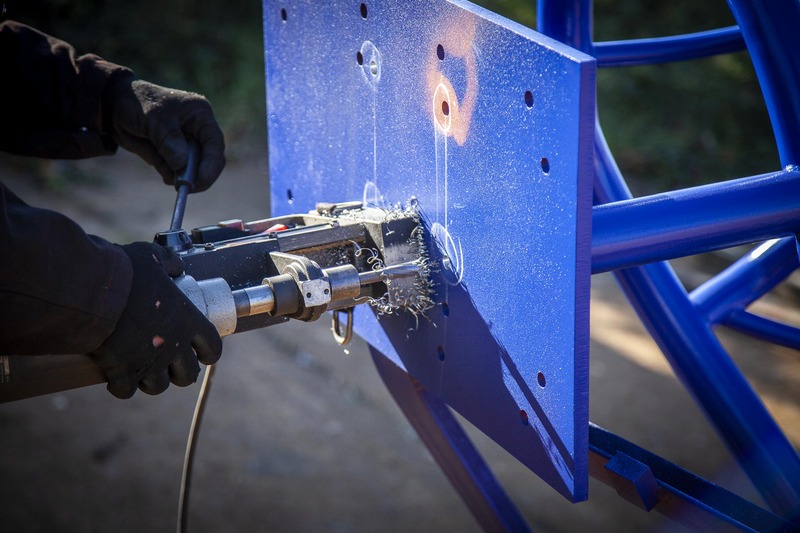 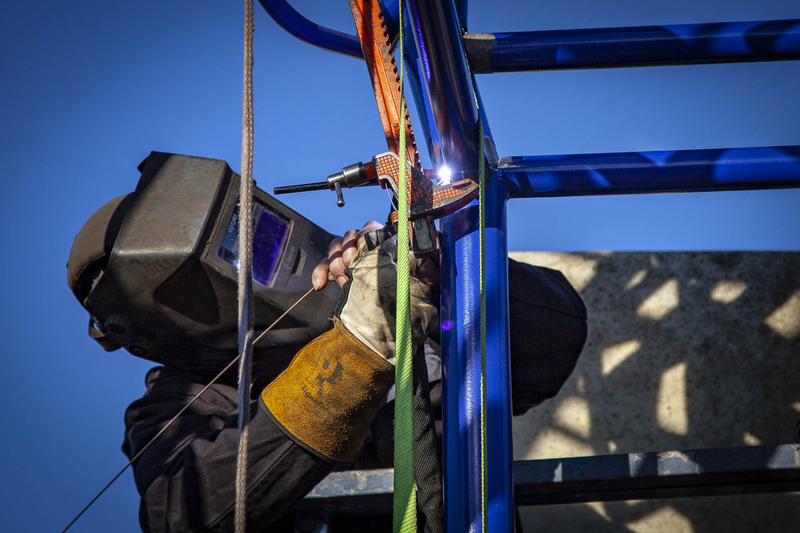 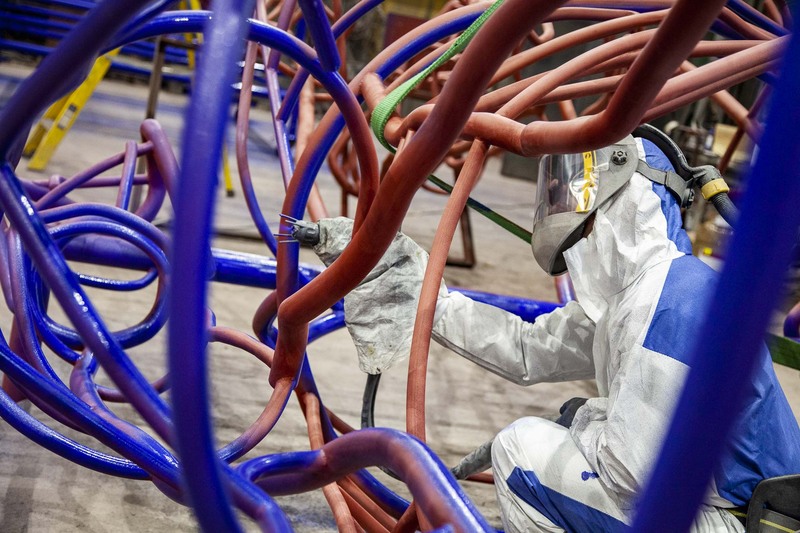 To emulate the hand drawn look, the piece was fabricated from 800 pieces of mild steel tubing that were bent into their individual shapes and then welded together. 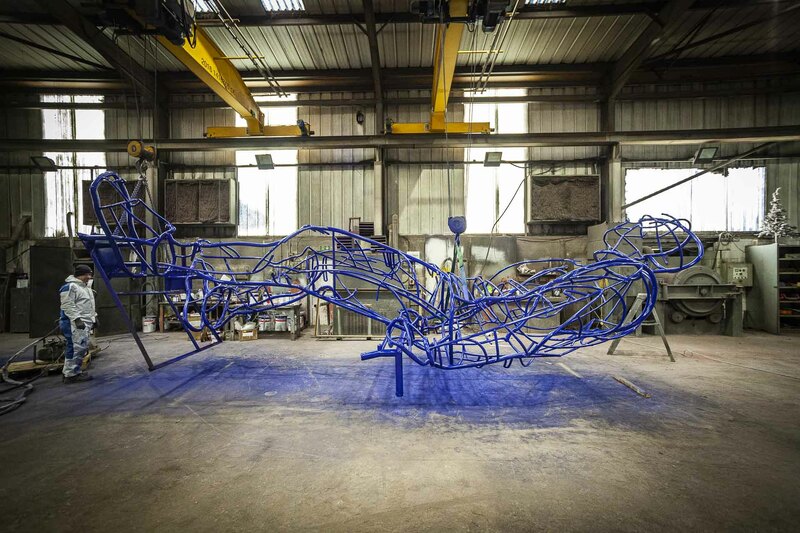 It was then shot-blasted before being painted with an ultramarine blue polyurethane based paint. 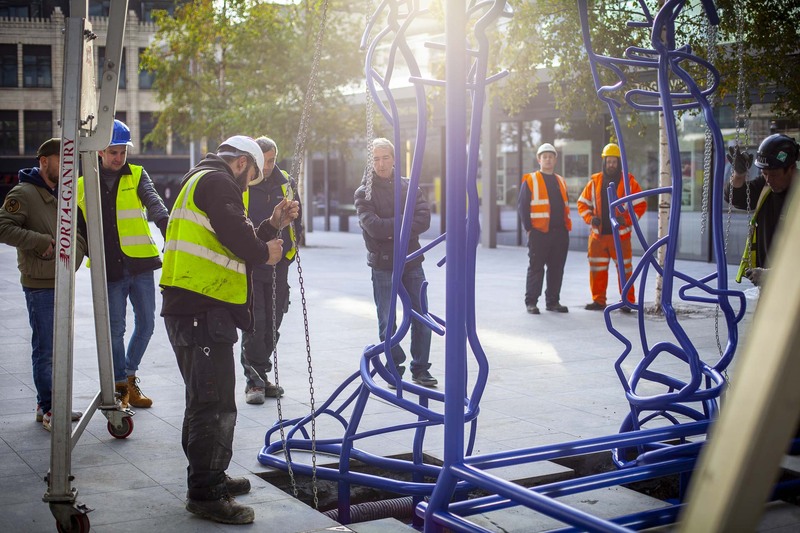 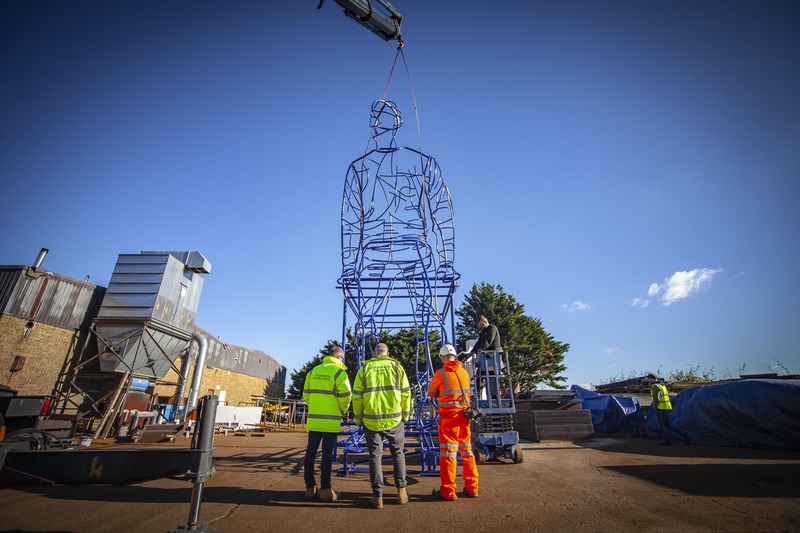 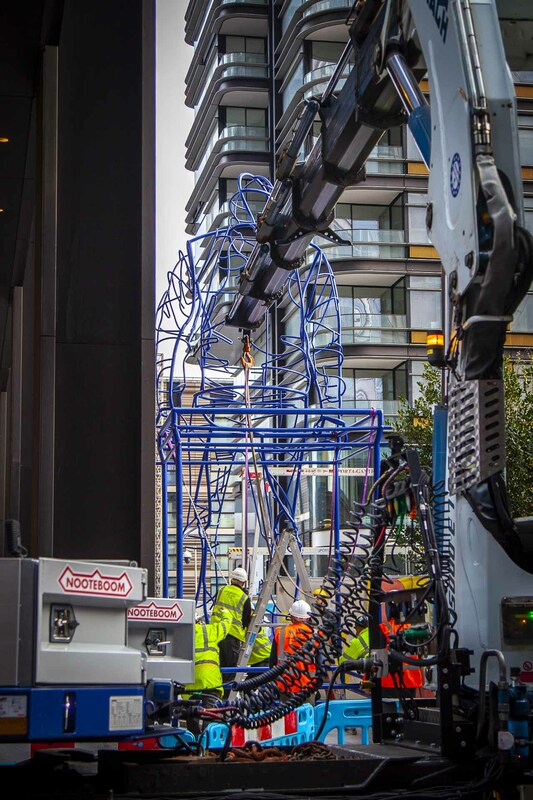 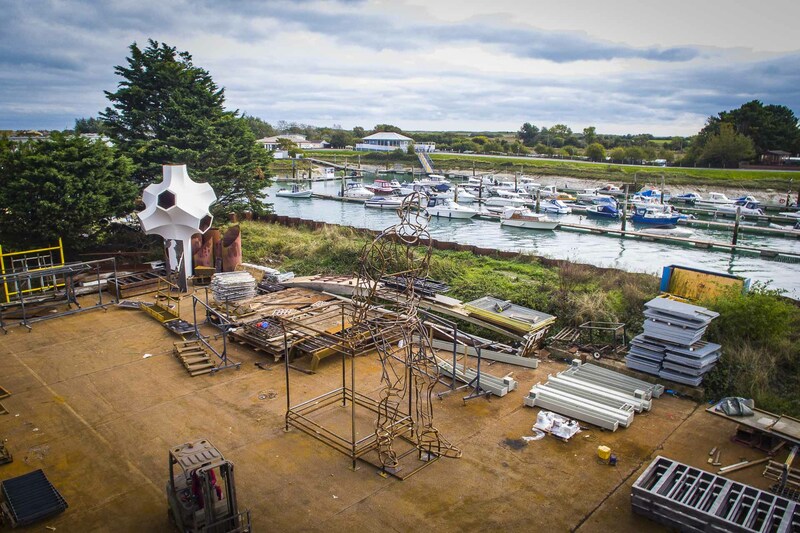 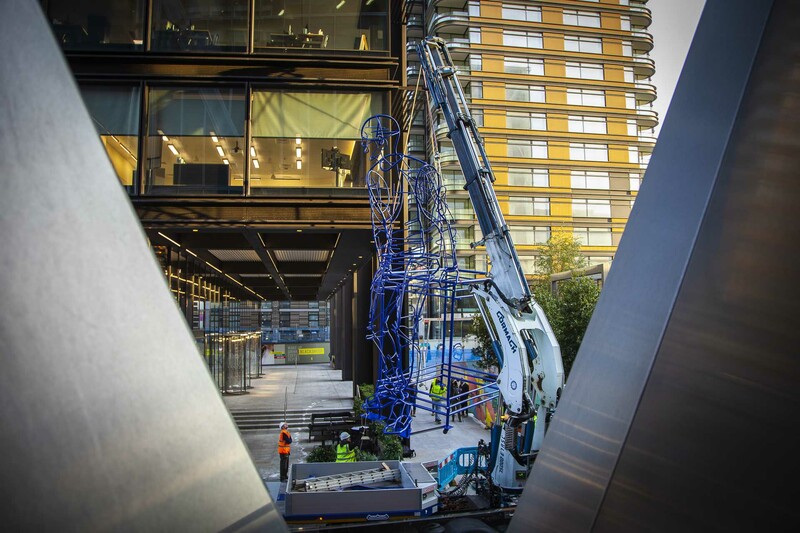 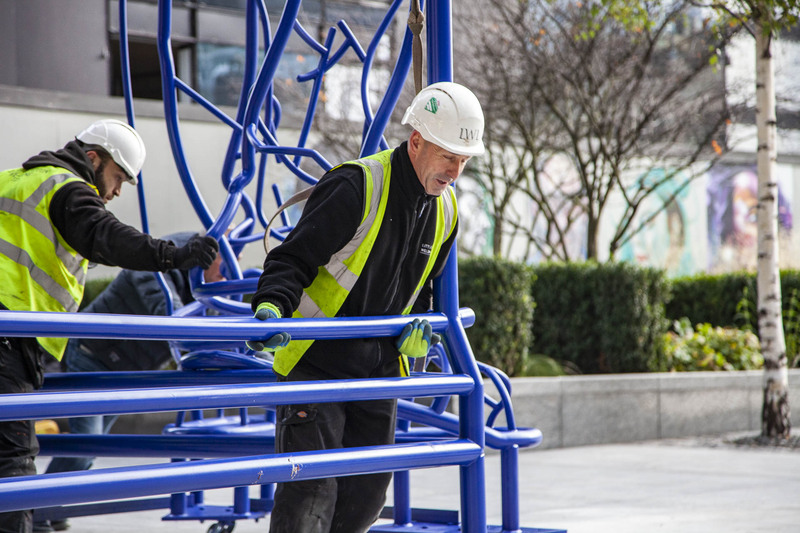 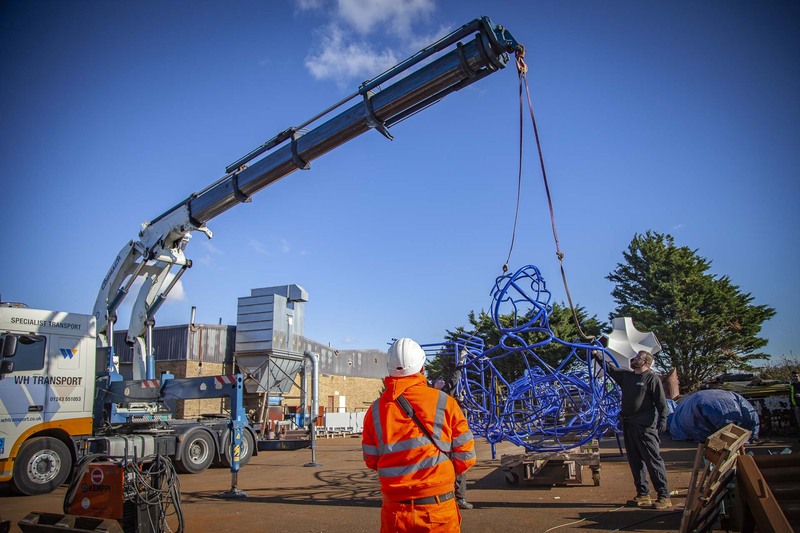 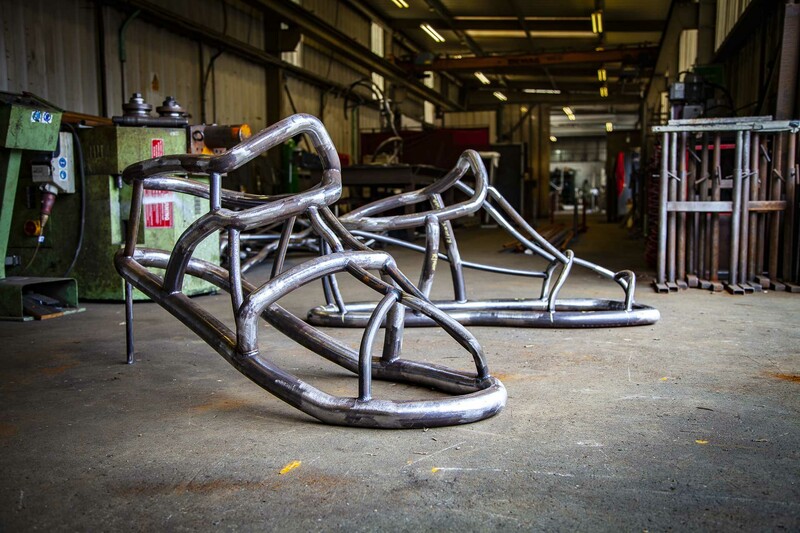 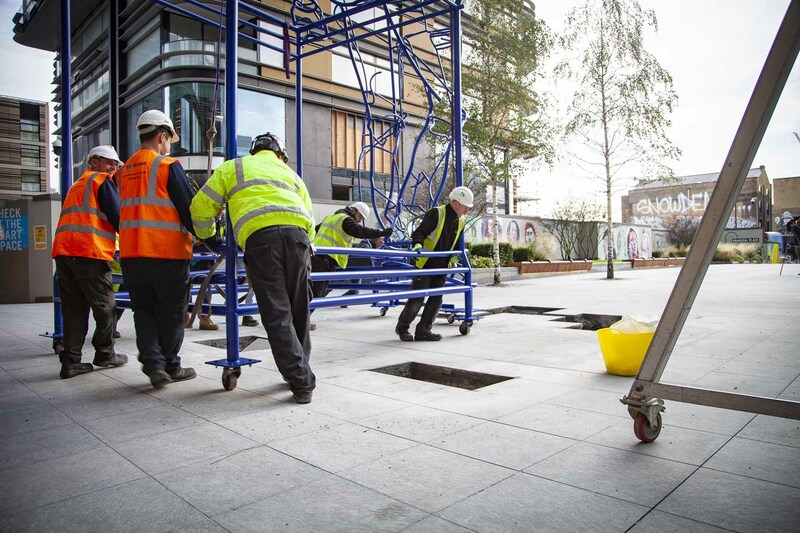 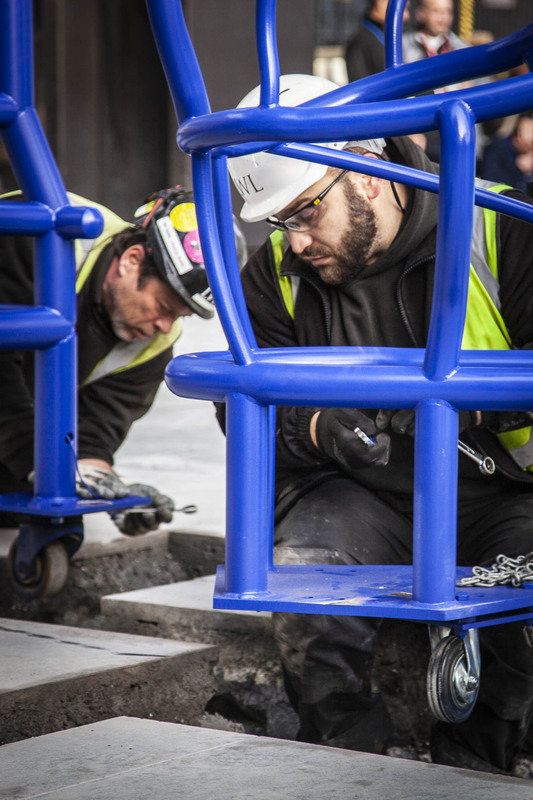 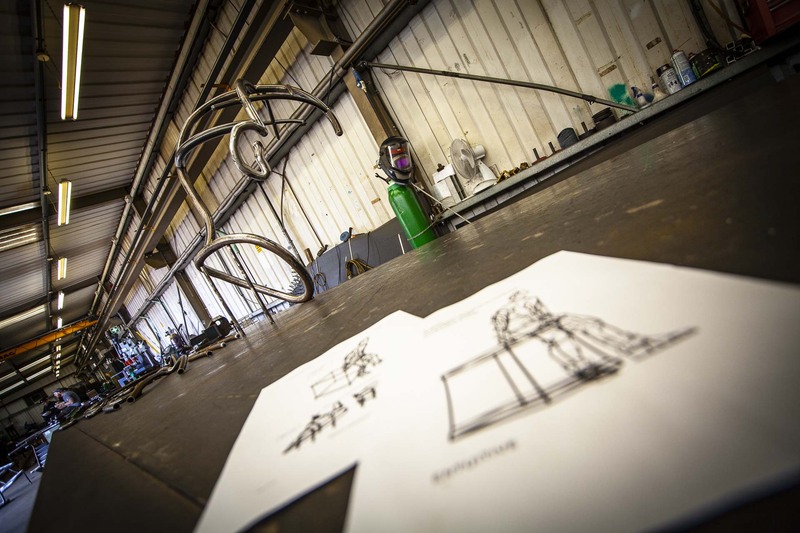 The finished sculpture, weighing 1.2 tons, was transported in one piece leaving on Saturday to arrive early on Sunday morning to avoid the central London traffic. 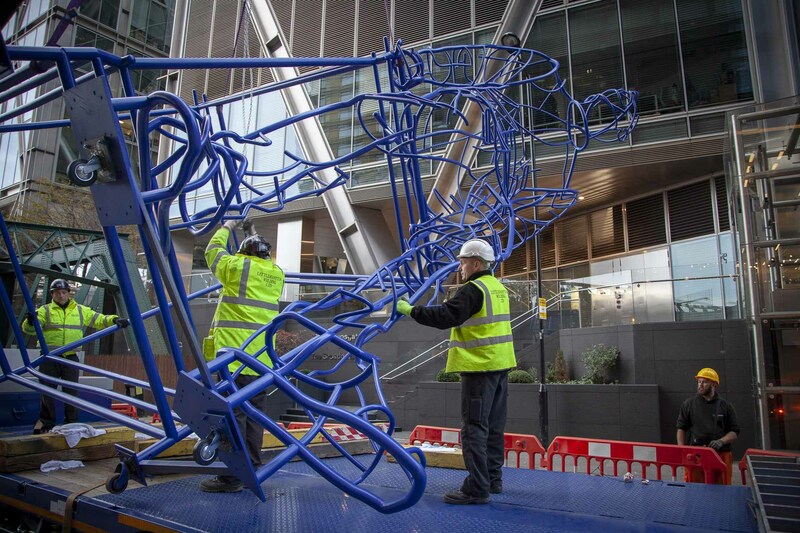 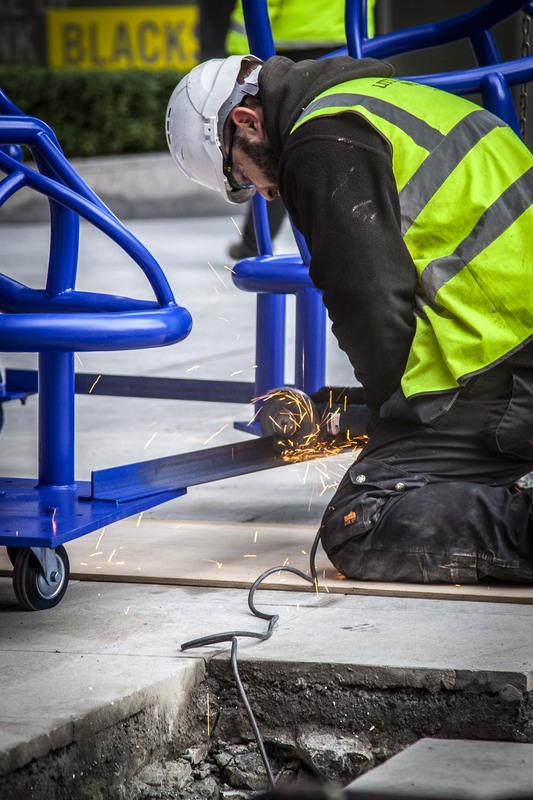 There were a few logistical problems to overcome before the piece could be placed in position on the concourse outside Amazon’s HQ. 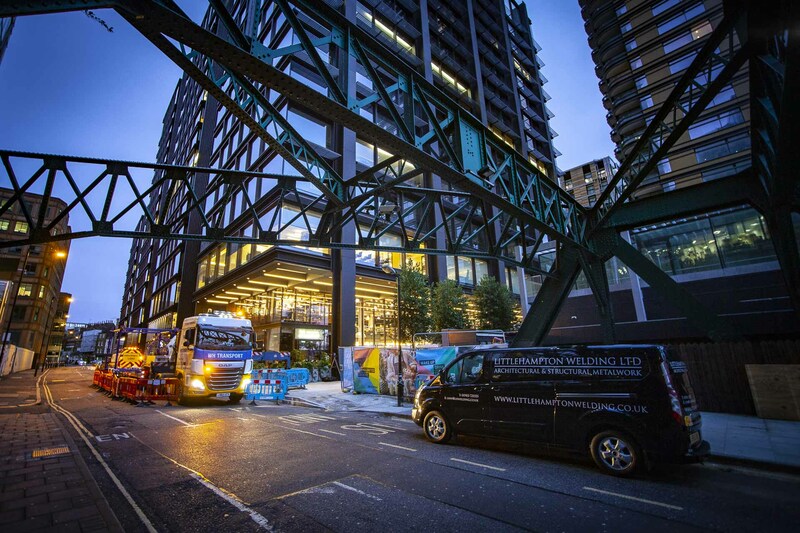 Firstly, the road immediately in front was located directly above a tube station which meant that a crane couldn’t be used. 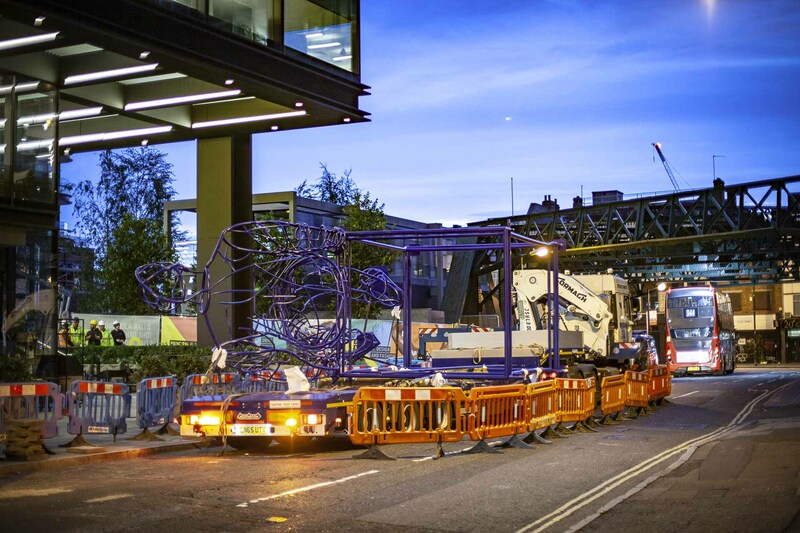 This meant that we had to off-load in a side street and then hand manoeuvre the piece on its side up a slope to the erection site. 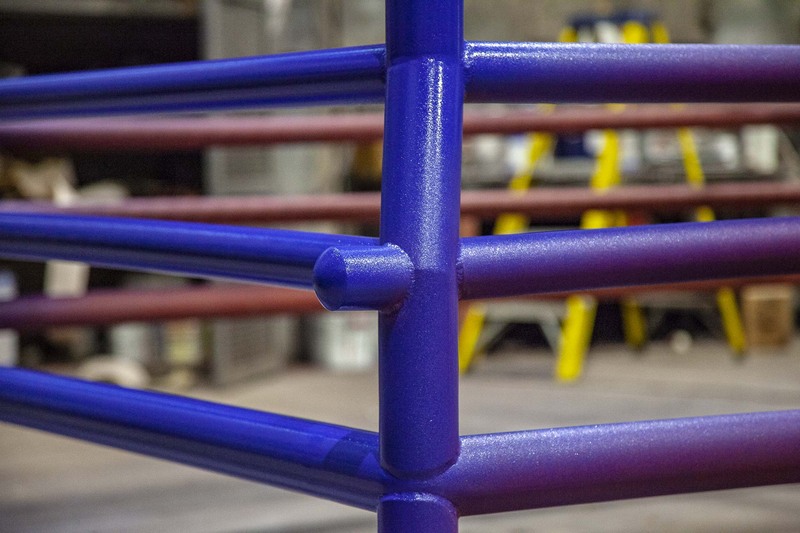 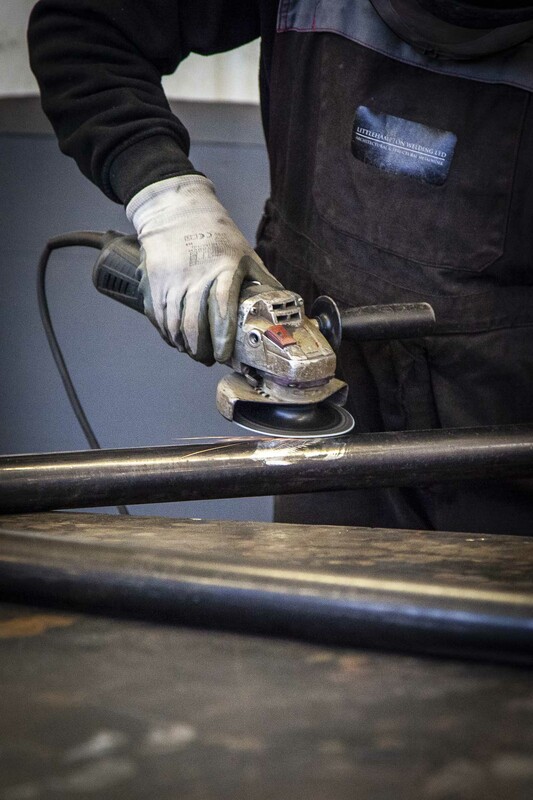 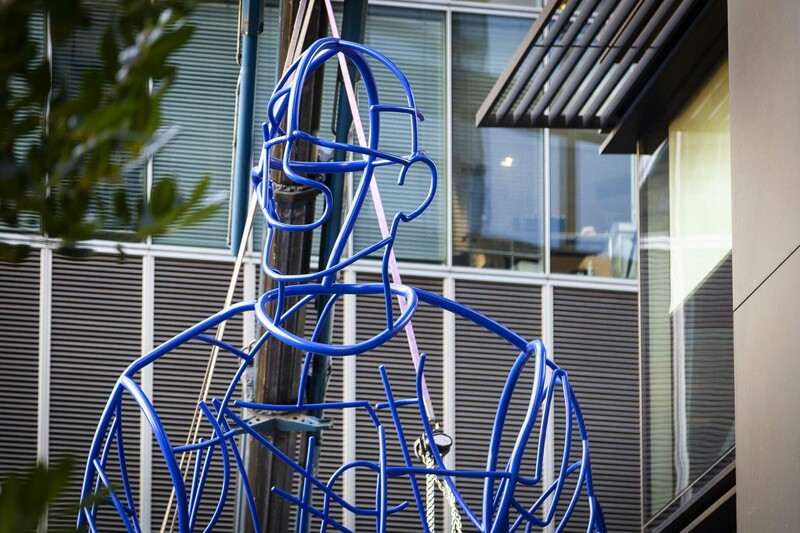 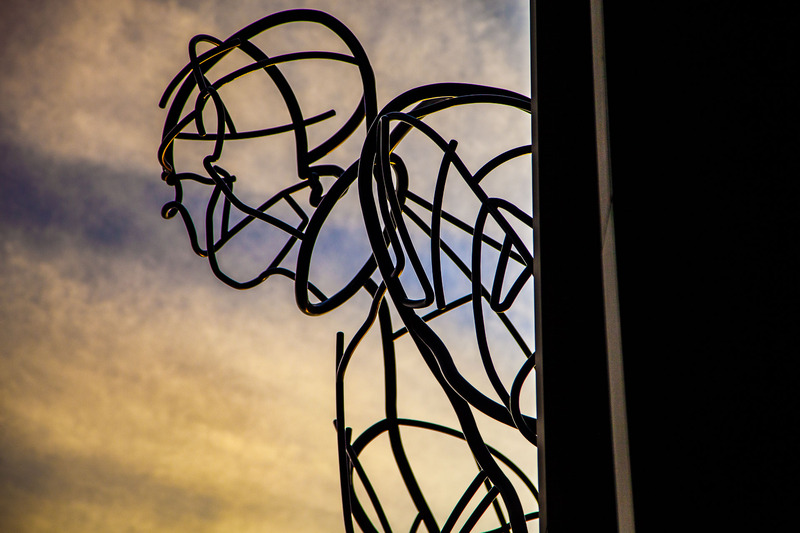 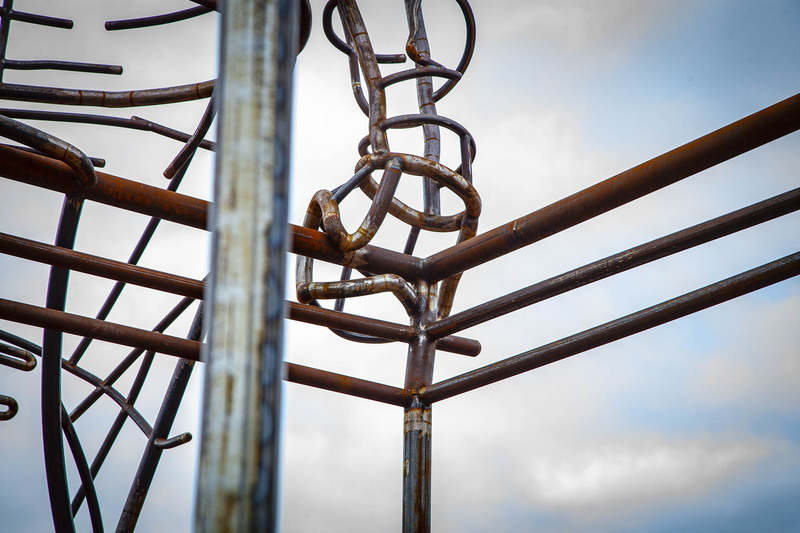 This was aided by the heavy-duty castors we had welded onto the sculpture for this purpose. 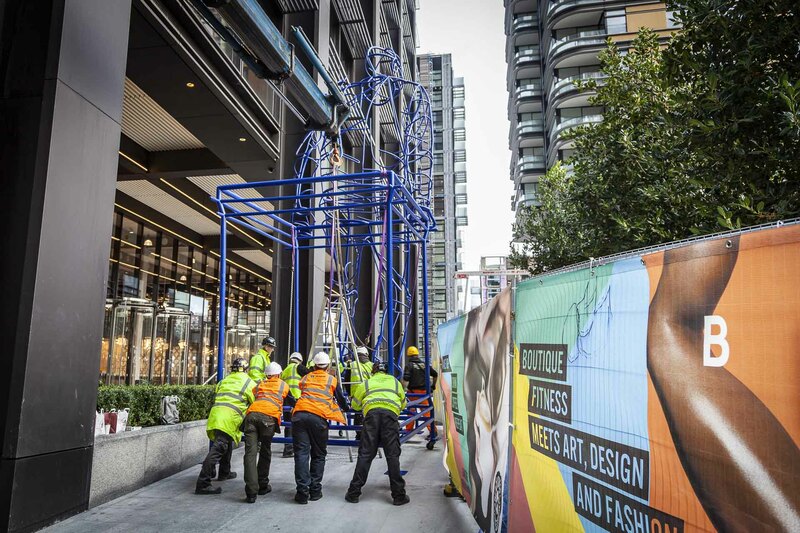 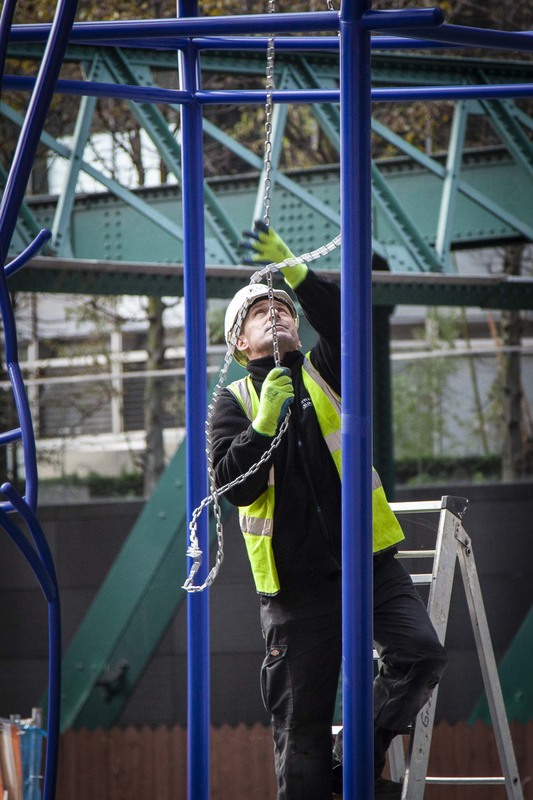 It was then lifted and dropped into place using a block and tackle on an A-frame before being secured in position.